Then place the artichokes dish back in the hot oven for another 35 to 40 minutes at 392°F (200°C). Turn off the heat after that and let the artichokes rest in the hot oven for another 30 minutes. Step 1. 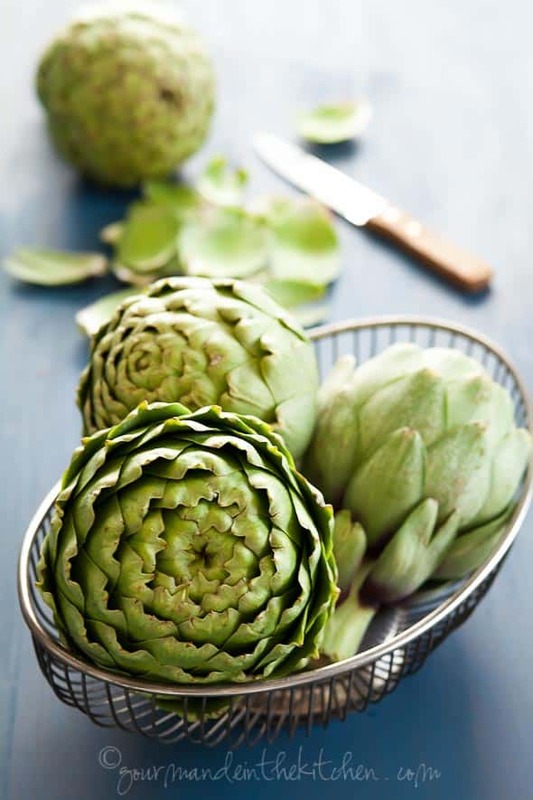 Preheat oven to 375 degrees F. To prepare the artichokes, trim each stem to less than 2 inches in length. Slice off the tips of the artichoke and snip the thorny tips with some kitchen shears. Preheat oven to 260°C/500°F. Cut off stems and top one-third of the artichokes. Gently pull leaves apart to open up the artichokes. Peel and crush garlic. 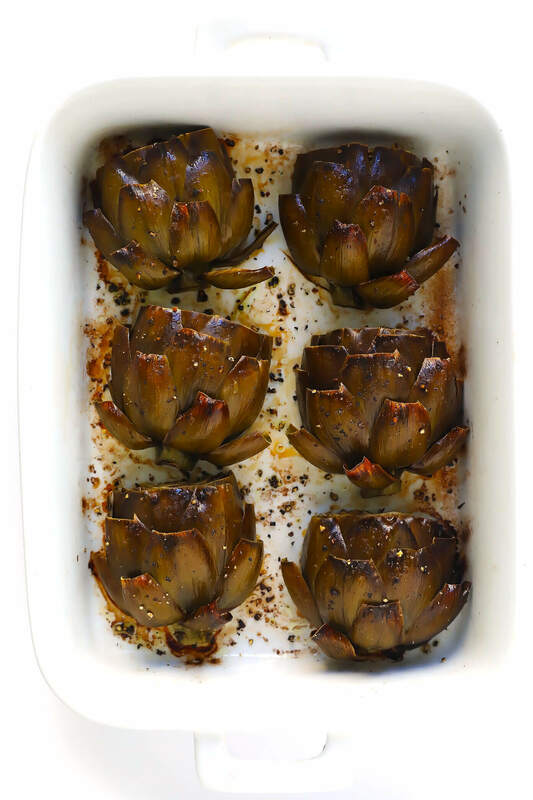 Transfer artichokes to a large baking dish. To use the cooked artichoke heart in a recipe: Peel leaves from artichokes. Scrape off the inedible prickly "choke" to expose the heart. Cut the heart in half or as directed in a recipe. Scrape off the inedible prickly "choke" to expose the heart.